The brave dolphin likes ice cream. Push the angry sea fish aside. The angry sea fish can attack the brave dolphin. A first aid bag helps to recover strength. 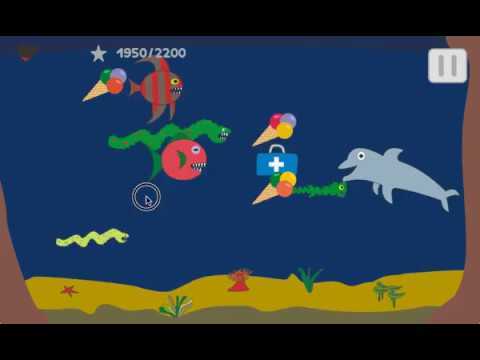 Move your finger on the right side of the screen upwards or downwards to move the brave dolphin up and down in order to escape from the angry sea fish or to get a first aid bag or ice cream. Move your finger over an angry sea fish upwards or downwards to change its swimming direction more to the top or more to the bottom.